NEW HOMES IN NORTHWEST AUSTIN??? 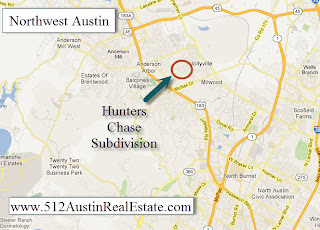 Often times I meet people that love homes in Milwood or Hunters Chase because they like the location but they would prefer to buy a new home in northwest Austin. There is very little available land in Northwest Austin. This has made it so there is not much to choose from when looking to buy new. Well, just around the corner from Milwood there is a development of new homes ranging from 1400-2500 square feet and prices starting in the low $200,000's. On top of being a great deal, they have a very low tax rate for the area of 2.03% and will often make incentives for buyers in the form of upgrades, all buyers closing costs paid or a mortgage rate buy-down. If you would like more info about these or other new homes throughout Austin, let me know. NORTHWEST AUSTIN HOMES: Thinking of selling your home? Now is the time. NORTHWEST AUSTIN HOMES- Thinking of selling your home? Now is the time. Have you been on the fence about selling your home? Not sure about the housing market? Is the market going down or up? Quite simply, now is the time to sell. Northwest Austin has seen a lot of growth in tech companies. Many of these companies are relocating employees from other parts of the US or other parts of the world. With all of these people moving to the area, along with a low inventory of homes, and historically low interest rates, the NW Austin Housing market has been competitive. We all know that interest rates will start to creep back up and economic forecasters say that it will not be a slow process. When the cost of a mortgage goes up (higher interest rate), buyers will not be able to afford as much house as they can today. Is it a sellers market? Just taking a look at the Hunters Chase subdivision in Northwest Austin, there have been 12 home sales in the last 6 months. There are currently 5 homes under contract (contract was generally written in the last 30-45 days) and 6 homes currently for sale. That is a 2-3 month inventory of homes no matter how you look at it. Homes have been on the market 34 days before accepting a contract and have sold for 95% of the list price. 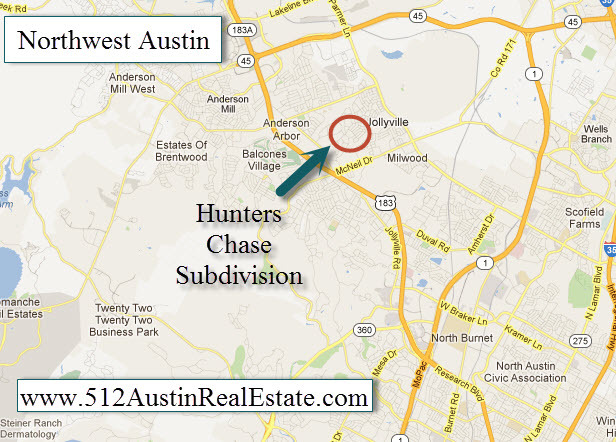 In the NW Austin market area as a whole (including areas such as Hunters Chase, Milwood, Balcones, Canyon Creek, Anderson Mill, etc.) we are seeing a similar snapshot. 380 homes have sold in the last 6 months, 101 now have a pending contract (last 30-45 days) and there are 147 homes available so again there is a 2-3 month inventory of homes available for sale. Homes have been on the market 34 days before accepting a contract and have sold for 97% of the list price. Does this mean that selling a home in NW Austin is easy? No. It can be easy when you work with a professional that is familiar with the detailed issues we deal with in our current market. Call me today so we can discuss a detailed plan for successfully marketing and selling your home. In the past 11 months I have been working with a lot of First Time Home Buyers to purchase their home in the Austin area. They have had some pretty good incentives like the $8000 tax credit, historically low interest rates and in some areas inflated inventory. The credit was thought to be coming to an end as of December 1, 2009. On November 6th, the president signed the Worker, Home ownership, and Business Assistance Act of 2009. One of the major components of this act extended and expanded the $8000 Tax Credit for Home Buyers. Previously, home buyers that purchased a home between 1/1/2009-11/30/2009 would be eligible for a tax credit of up to $8000 if they met certain criteria. Under the new expanded guidelines, even more buyers are eligible for a credit. The new Act breaks down in two major tax credits for home buyers with similar yet slightly different requirements. Buyer may purchase home up to $800,000 and get the credit. Income levels have expanded to include single taxpayers with incomes up to $125,000 and married couples with incomes up to $225,000. The home must be "under contract" on or before April 30,2010 and must close between November 6, 2009 and on or before June 30,2010. 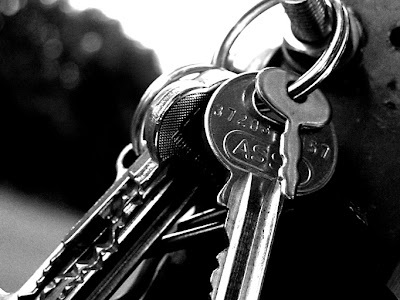 Purchaser must have owned and lived in their previous home for five consecutive years out of the last eight years. Income levels include single taxpayers with incomes up to $125,000 and married couples with incomes up to $225,000. This is great news for those home owners that are considering "moving up." In areas that have homes appealing to first time home buyers, this is an amazing opportunity for home owners to sell their home to a buyers that have a number of incentives (low interest rates, $8000 tax credit) and purchase another home to receive a $6500 tax credit for themselves. If you are considering a move-up to take advantage of this tax credit, contact me today and ask for details about my "move up" special that will reduce your out of pocket expenses when selling your home. In today's housing market, the first impression a home makes on a buyer is very important. There are a lot of homes available leaving buyers with the chance to be pickier than ever. When I work with home buyers in NW Austin, I get to see all of the different ways that homes are showcased. I set up my buyers with email notifications so they are aware of all properties that are available within their criteria. When they see homes that they like, we go to see them in person. Obviously the first contact, and the most important, is on the Internet so an essential step when selling your home is making sure that your home looks great on the computer. How can you do it? Hire a REALTOR that will put your home on as many websites as possible? How many? You should be able to google your home address and have the first 3-4 pages come up with for sale info. Professional photos and virtual tours make a huge difference. Showcase all of the positive features of your home. OK so now we have buyers interested in our home. Is that it? No, the Internet can only get buyers interested in seeing your home. Then the point is to keep them interested. How? -Try to put yourself in the shoes of a prospective buyer. Look at your home with a fresh perspective. What needs attention? Overall: Cleanliness, Get rid of Clutter, Put away personal items. The first impression is sometimes the only impression. Buyers that I work with tend to associate the home with the most memorable feature. Some are obviously better than others. If I were selling my house I would rather have it known as "the one with the big backyard" or "the one with the nice floors" instead of being known as "The funky paint" house or "the cat pee house". Homes with a positive first impression have a chance of being seen again and possibly being sold. Homes with a bad first impression stay on the market. Which sounds better to you? If you are thinking of selling your home, contact me today for a no-obligation consultation which allows us to talk about all of the factors that go into successfully selling your home. $8000 First Time Home Buyer Tax Credit: When will it end? In 2009, we have seen many incentives to buy a home. -In some areas, lower prices than we have seen in 5 years! -Not least of all, the $8000 tax credit for first time home buyers. Due to all of these happening at once, there has been a much larger group of first time home buyers than ever before. I know that I have been working with a lot of first time home buyers. By now you probably have a good grasp on what the $8000 Tax Credit is all about. If you meet the criteria, you have probably even thought about how you would like to buy a home and take advantage of it. You can actually get a rebate for up to 10% of the purchase price on some homes. So Why not? FREE MONEY! Well, now is the time to act. The credit only applies to homes that close and fund before December 1, 2009. -There are rumors that the government is considering a similar plan once this plan expires. I tend to be a bit more on the skeptical side and I think that the only way to be sure to receive it is to work within the guidelines we have set in place right now. They will most likely not make any announcements about a future credit until this credit has expired. Act now! The weeks days and hours are ticking down on this deadline as you read this. Well, OK, How can I buy a home before the deadline to be sure to get the $8000 tax credit? First, Enlist the help of a Professional. Third, make sure you are working within a realistic time frame. 1. Enlist the help of a professional. By professional, I mean a REALTOR. More specifically, A full time, really working for their CLIENT, hard negotiating, penny pinching (your pennies), motivated, working overtime, answer getting, YOU pleasing REALTOR. This is not the time to work with someone that is not entirely devoted to helping you make smart decisions and SAVE MONEY. I refuse to let my clients make bad (uninformed) decisions. 2. Use Technology to your advantage. The best way to stay informed about what homes are available that meet your criteria is to have them emailed to your inbox DAILY. It is as easy as checking your email. When you see homes you like, respond to the email with times that work to see it and figure out if it is your (1st) Dream Home. I set up searches for my clients based on their criteria and constantly adjust the parameters to make sure they are looking at any available homes that will work for them. Contact me today to set this up. Think you aren't ready? Want more privacy? You control the search when you use The BEST Way to search for homes in the Austin MLS. 3. Make sure you are working within a realistic time frame. Lets work our way backward. You need to buy a home before December 1, 2009, right? That means you will most likely need to close before the Thanksgiving Holiday which means shooting for November 25, 2009 at the absolute latest for a closing date. Most financing will take 30-45 days from contract acceptance so you are able to close. That means that to take advantage of this, it is in your best interest to have a home under contract by mid-October at the latest. I wouldn't wait until the last minute if I were you. Lenders and Title companies are going to be FLOODED during this time and the home ends up costing $8000 more if you can't close until Dec. 1st or after. There is basically a little more than a month to find the right home and negotiate. For some that may be plenty of time. But for those looking at Northwest Austin Homes, start looking now. These homes sell quickly and in some areas there is very little inventory. Contact me today if you have any questions about how the tax credit works, how to get started and to start a systematic plan to find the right home in a limited amount of time. Posted by Brian W Martin REALTOR for The Pinnacle Group of Keller Williams who is dedicated to helping First Time Home Buyers make the BEST decision of their life. THIS HOUSE HAS A BRAND NEW ROOF! BUYERS!, Take advantage of the $8000 tax credit for first time home buyers when you purchase this beautiful home. The main level has PERGO and tile flooring throughout. The large kitchen has a huge pantry and utility room attached. The refrigerator and microwave can convey. The large (20x16) Master Suite has a huge walk in closet and space for a sitting area. This is a great home for a first time home buyer or a family!